Ciutadella is a port city and the former capital of Menorca, home to the largest population on the island and located on the west coast, opposite Mahón, the current capital. Visitors flock to Ciutadella to experience the enchanting old town with its winding medieval streets, 14th century gothic cathedral and a charming marina dotted with restaurants and café terraces where you can watch the world go by. Ciutadella is always an exciting city to explore but is undoubtedly at its busiest in June when the popular San Juan celebrations take place with spectacular Menorcan horse parades. Traditional yet cosmopolitan, lively yet laid back; Ciutadella is a fascinating and beautiful city steeped in history that has managed to open its arms to tourism without losing its authentic flavour. 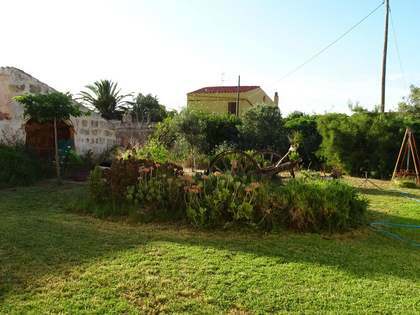 This part of the island is ideal for property buyers seeking a permanent residence or holiday home in Menorca with an abundance of shopping, dining and leisure options on the doorstep, as well as easy access to the island’s best beaches. 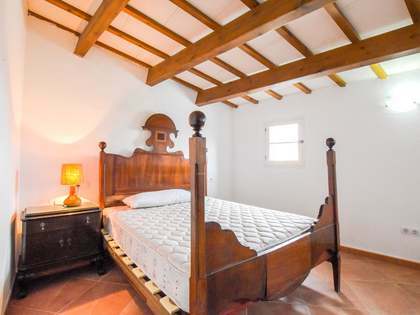 Properties for sale in Ciutadella de Menorca on or near the seafront promenade and in the historical old town are always in great demand. The City Hall and a 22 metre obelisk on Plaça des Born marks the very centre of the city and is a great starting place for exploring the historical old town. Renovated period apartments and townhouses on the surrounding streets are considered prime real estate in Ciutadella as they boast the most desirable location, close to all services and often with the most attractive views. More modern real estate and new build properties can be found on the outskirts of Ciutadella for those that prefer contemporary architecture, and there are several stunning beach areas within easy reach of the city where homes are greatly coveted. Picture-perfect virgin beaches such as Macarella, Macarelleta and Cala Mitjana are considered highly desirable places to own a holiday home for example. The Sa Farola area and Cala’n Busquets at the mouth of the port, are also popular. Residential developments around Son Oleo, Son Blanc, Sa Caleta and the tourist areas of Cala’n Blanes, Cala’n Bosch and Cap d'Artrutx are all also very popular place to acquire real estate. 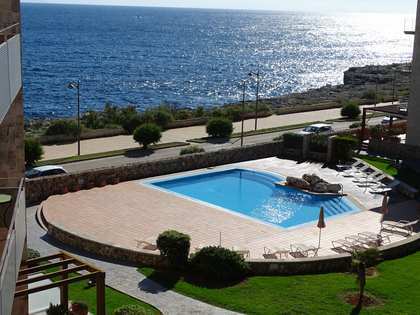 Cala Morell, 10 km to the north of the city is ideal for clients seeking luxurious cliff-top villas with breath-taking views. Many of our clients are seeking the ideal holiday home or a lucrative investment property. Others, namely families with small children and retirees, are looking for a permanent residence on the island and choose Ciutadella for all of its historic charm and convenience. 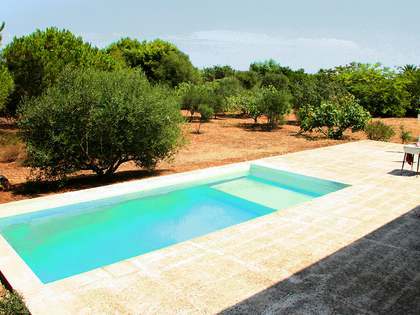 Benefit from our extensive experience and expertise in real estate and explore our portfolio of high-end properties for sale and rent in Ciutadella de Menorca.